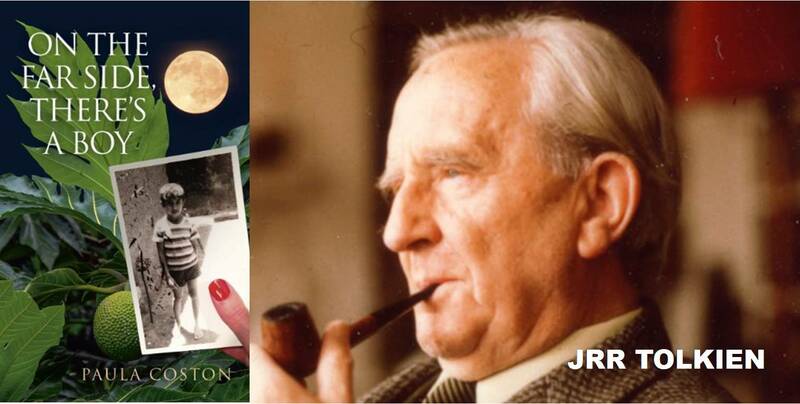 An article in WRITING MAGAZINE (Aug 2014), by novelist Paula Coston, spoke of the correspondence regarding poetry that passed between her and JRR Tolkien (her grandparents next-door-neighbour) when she was a child. Throughout my writing life, I have always been given the impression that the use of rhythm and rhyme in poetry is seen as somewhat inferior to blank verse. In my opinion both are difficult, but in different ways. By limiting yourself to words that rhyme, the inference is that you are stunting your own creativity but I have found what Tolkien refers to is true. The restriction of choice on your writing means you have to dig deeper into your imagination to make the writing work. The poem I am working on at the moment (I’m In Love With The B3306) has reinforced in me the view that Tolkien was right. There that should get me down off the station roof. Ultimately (apart from the odd darker poem), I write in the hope of making people smile…if I manage to get a laugh so much the better.